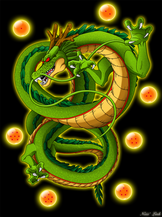 In DragonBall Online there are five attributes: Health, Stamina, Speed, Ki Manipulation, and Martial Arts. The total number of attribute points (AP) a character can have is 400 distributed between the five attributes. Each attribute is capped at 100, however, items or abilities may allow an increase. Health: This helps to determine ones ability to survive in battle, it effects the amount of damage one can endure before passing out or dying in a battle situation. For each AP located in this section a player receives 10 points added to their health, if a player loses health in a battle it is their job to determine how much damage the technique done and how much Health is remaining. Should a player reach anywhere from 5 to 0, they will pass out. If the players health becomes negative then they are killed by the exceeding damage. Also in the event a character dodges or blocks causing a limb to come in contact with an attack that exceeds half of a players health, it will cause one of two effects based on the Technique used: Ki Manipulation Techniques will remove or obliterate the limb, while Martial Arts Techniques will simply shatter the bone making the limb useless. Stamina: This helps to determine ones fighting length and capabilities, much like Ki stamina is used up by actions and some techniques. For every AP placed in this section a player gains 10 points added to their overall Stamina, also each point adds 3 actions per thread. An action is using a technique or deciding to fight, each uses a action. In the event a character runs out of stamina or uses up all of their actions they must rest for a post. If a player reaches 0 for their stamina then they pass out, if a player uses a technique which puts their stamina into the negatives then they loss 3 actions permanently. This is due to straining the body, which also leads to passing out due to exhaustion. Speed: Speed helps determine how fast a player is at moving, Every AP placed ads 10 MPH to the characters speed on ground, but each AP used also adds 100 MPH flying at full speed (Flying at Full Speed also costs an Action). A players reaction time is also twice as fast as their speed to allow low stat players a small chance at perceiving certain attacks. Fighting - One fights and gains experience giving them AP as a reward. A word count of 200 is rewarded with one AP which a player may allocate into any of the five attributes, every additional 200 words will gain another stat. However, if the person is not training or fighting the majority of the thread then no Attributes will be awarded. Starting: All Players get 25 Attribute points to disperse wherever they please.